It could’ve been oh-so-different. 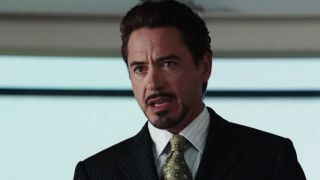 If Robert Downey Jr., in the shoes of Tony Stark, hadn’t stepped up in front of a ravenous press pack and delivered his famous line, “I am Iron Man”, then there might not have been a sequel. Heck, there might not have been the multi-billion MCU you see before you. But, as it turns out, the whole thing was made up as they went along – and Marvel Studios head honcho Kevin Feige explains just how much of an impact those four little improved words had on everything that came after it. So, ‘I am Iron Man’ not only kickstarted the MCU, it also flung the set of franchises that would follow into new territory, one where they wouldn’t need to be held back by the comics, but simply be inspired by them as they broke new ground. Oh, what could have been. It’s not a leap to suggest that without ‘I am Iron Man’, the MCU could have floundered before it even really began. And now? Everyone knows Iron Man’s name. Ironic, isn’t it? Need more in the way Iron Man retrospectives? You have to take a look at how the movie was one big risk, from its lead to its premise.